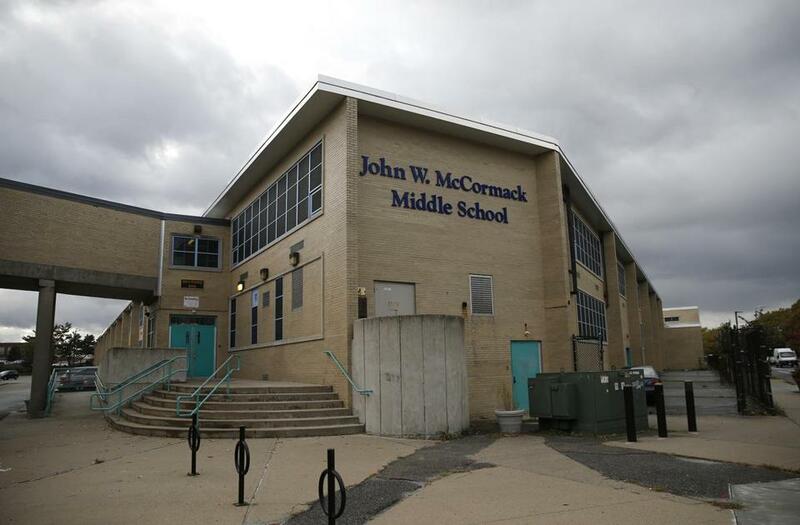 The McCormack School in Dorchester is slated for closure. That “house” is McCormack Middle School, now proposed for closure and extensive renovations after the 2019-20 academic year. For students like Guerro, a 13-year-old eighth-grader, their Dorchester school is more than its hallways, walls, and whiteboards. It’s a close-knit community that’s been a sanctuary from the turbulence of their young lives. This is another phase in Walsh’s “BuildBPS,” a $1 billion, 10-year construction plan to reconfigure and update its 125 schools. Meanwhile, McCormack students say they are learning harsh lessons about race, and how gentrification makes them feel unwelcome in their own neighborhoods. 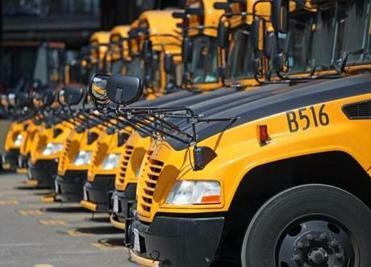 Also marked for closure are West Roxbury Academy and Urban Science Academy. At all three schools, students of color are in the majority. For more than two hours, students, parents, and teachers told the Boston School Committee that they don’t want to see schools and programs shut down. Everyone understands the logic, yet here’s what gets the tears flowing: McCormack’s community, as fiercely sustaining and protective of each other as kin, may not remain intact. Students — but not necessarily teachers or staff — will be reassigned to Excel Academy, an underperforming South Boston high school already taken over by the state. It will be expanded to accommodate grades 7 to 12. McCormack is a family. And you don’t divide a family. Perille says keeping the school community intact is “not yet off the table.” She also reiterated that the renovated McCormack will continue to serve mostly students of color. Many in the McCormack community remain skeptical. Last semester, I visisted Avashia’s civics class to talk to students about racial justice. Her classroom was filled with student projects about violence, racial and economic inequity, and immigration. These weren’t abstract subjects for her students. A majority of Boston’s murders this month have occurred in communites where these children live. Homelessness is increasingly a factor, with some students living in shelters. McCormack has a closet with clothes, toothbrushes and toothpaste, and deodorant. Students from Central America, and other countries rife with unrest, receive trauma counseling at the school. Now with their community in peril, the kids no longer feel like they can sit on the sidelines. They’re attending hours-long school committee meetings to voice displeasure with plans that will affect not just their futures but those of their siblings. What they’re losing is a camaraderie forged from hardship, and relationships that have helped them through tough times. Guerro compared being separated from his favorite teacher to “taking a father from a baby.” Eighth-grader Leslee Benoit, 14, recalled when her uncle died from a drug overdose, she did not feel isolated because other students understood her pain. “We’re all there for each other,” she said. They’ll continue to lean on each other during the uncertain months ahead. Many of these students will graduate next spring, but say their connection to McCormack won’t end. Like other alumni who have returned since the announcement, they’re committed to attending meetings and bending the ears of officials who, they say, aren’t just shutting down a school, but a vibrant, nurturing community.